That soda bottle is sick... in a good way, I think. Your ability to see into things is enviable! I cannot call this a water filter, so maybe it is a simple storage unit. In the end it's simply an egg container with some bits on. But I think it looks nice. Expecially with all the set. 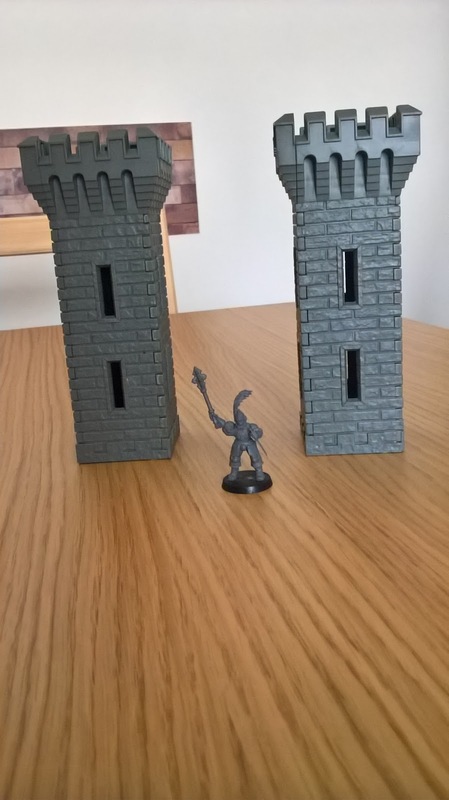 I love the wizards tower, though the telescope looks a bit too much like a ray gun. Or, alternately, the ray gun looks too much like a telescope. And OMG I love that Johnny Five! Here a new project in its early stage. The aim is to make a Slaan Blood Bowl team on the cheap. But at the moment I have not enough toys to make a full team (I have only have 6 of these toad like mini gormiti), so I decided to test the idea at the moment. Here the first modified toad (a catcher), I have no idea of a theme a the moment, but this first one kinda looks like a japanese monster. Maybe I should go with a yokai theme. Slann from rubber toads I love it. This blog is so inspiring! Completely agree, so many excellent ideas. Another quick tutorial: easy columns. 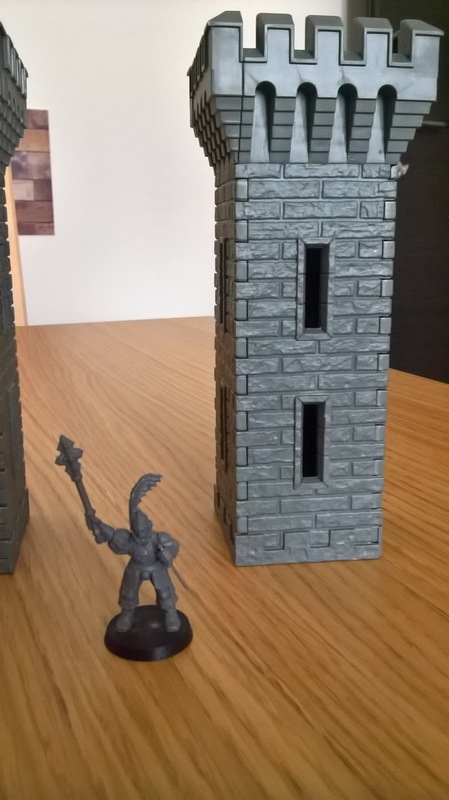 This tutorial can help you to make some cheap terrain, but unfortunately nothing very detailed. In any DIY store you can find wooden caps used for repair imperfections on your forniture. You drimel out the gross part and glue a wood cap. These caps can be found in several sizes. You simply need to glue these caps together. Here an example of the product. The cilindrical piece is also found in the same bricolage stores. As stated before, nothing spectacular, you can see the wood texture. But you can make a large amount of these colums in a very small amount of time and with even less money. Fantastic idea, look spot on to me. Quick and cheap wins every time. The idea of using wood repair bits for making pillars is a keeper- brilliant! With the dry brushing they need no texturing at all to look like rough rock. As has been mentioned several times earlier- lots of wonderful ideas in this blog- I'll be following with interest! This idea has crossed my mind, but at that time I was unable to find these things in a proper caliber. Thank You for reminding me of them! Will start looking around again. Another contest, this time the theme was the humble paperclip. And again I'm not in the finalists. Well, at least I can show you the project. 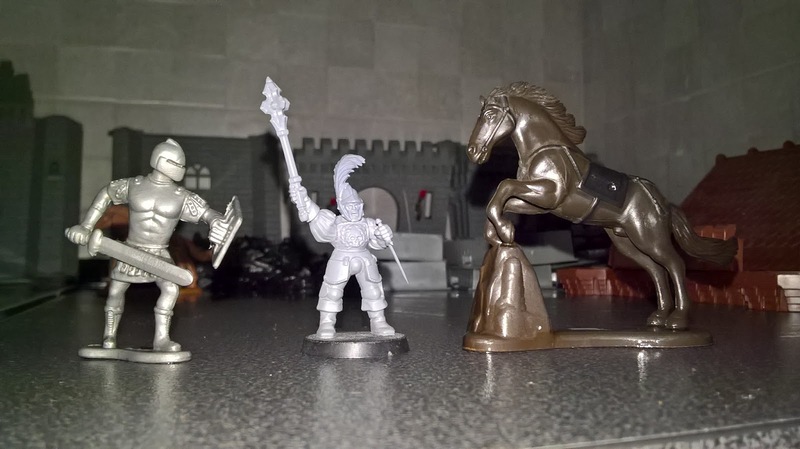 An horse (kinder egg toy), a bulltaur (a small rhino body and bits) and a 3d printed adventurer from Heroforge. 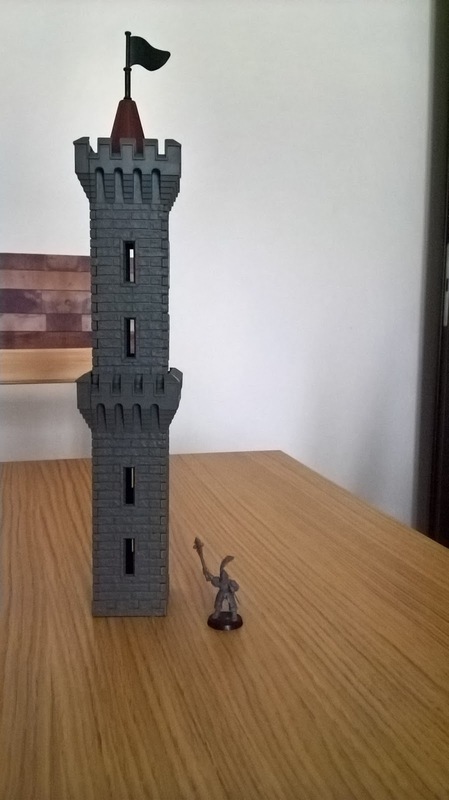 Warhammer quest mage and Sigmar dude for scale. I'm the only one I found the Stormcasters ugly? That expressionless face... I have to do something about that. Sometimes you can find diamons in the trash, or near it. Near the plastic recycling bin in my neighbourood someone leaved an entire set of kid toys in a bag. 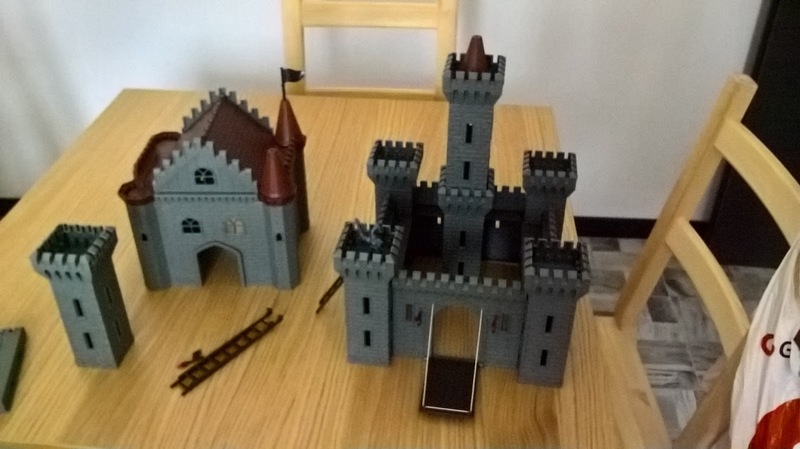 They were full of sand and webs, the main attaction was a Simba plastic castle with some missing parts but still in great shape. The scale is actually pretty good for Warhammer and I found some people did amazing thing with this toy. 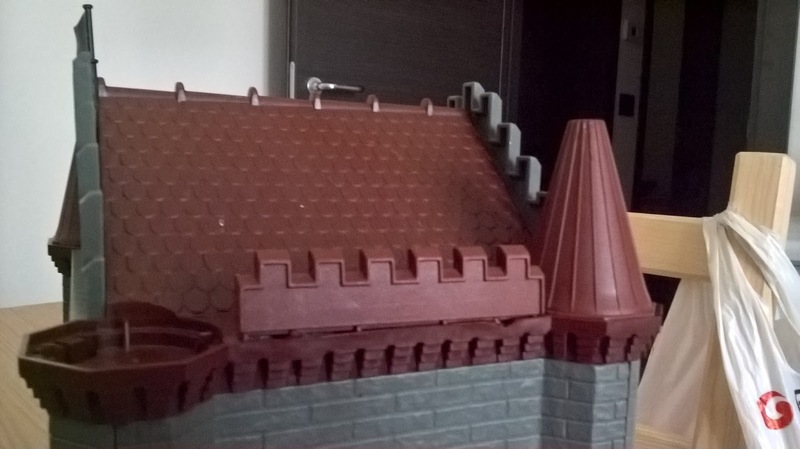 After a lot of soap the castle is now ready to see some battles, and you can assemble it in many different ways! 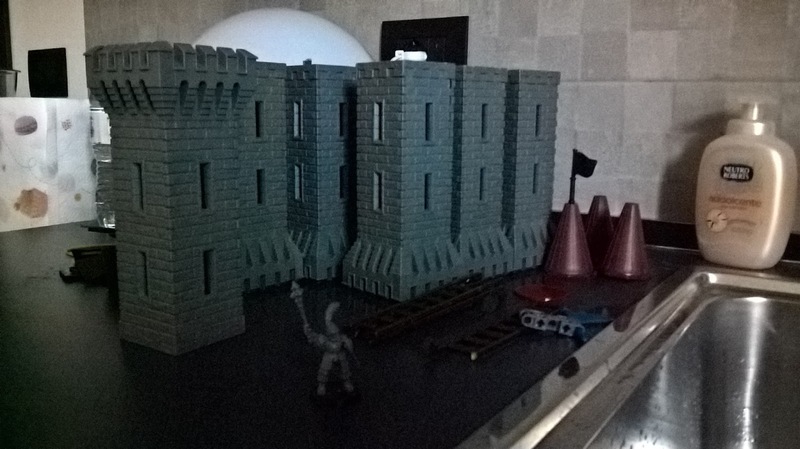 Unfortunately the plastic knights are on the big side... well, more statues. 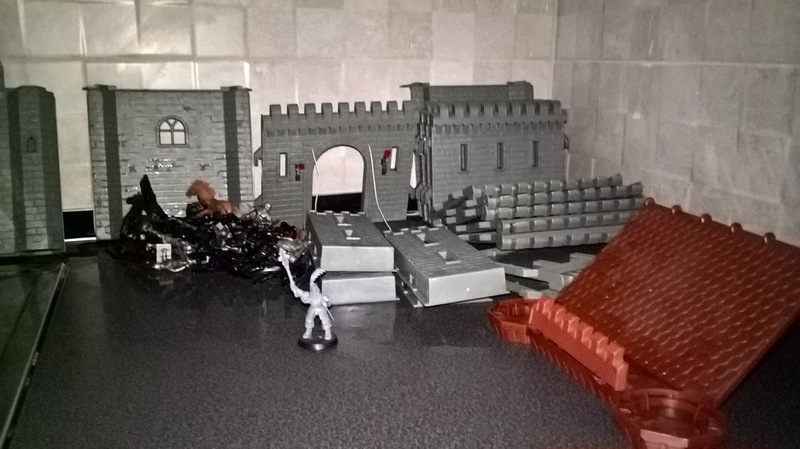 A couple of quick pieces of terrain. One made with blue foam, the other with icecream sticks. 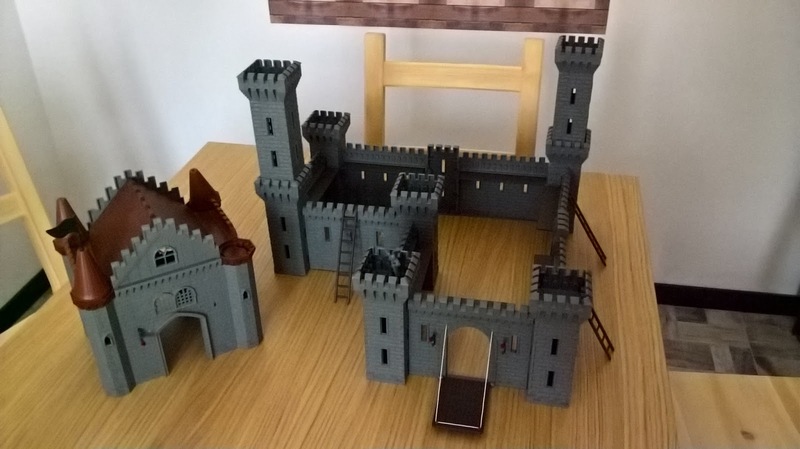 Awesome work all round, that castle is a brilliant find. A couple of random characters today. 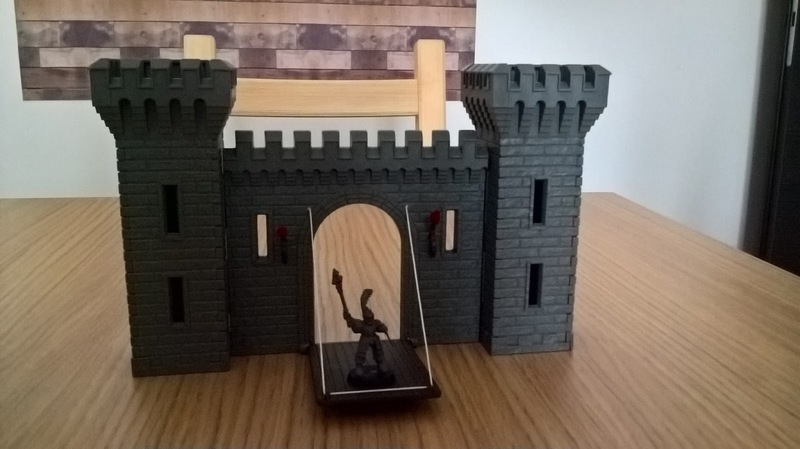 An armored cobra toy I found, repurposed as a Bronze Serpent, and a kobold, actually made with a Lord of the Rings goblin with Warhammer bits. They turned out pretty good. I think I finally got the appeal of Chaos. It's very easy to recycle things. You can pick random parts from your bit box and make a mutant in no time. And even works with toys. Nurgle is the best, mostly because is the most monstruos army you can make. So if it looks like s**t is a plus. Here a small band of horrors that can be used as a proxy Blood Bowl team if you really need one. Hello guys, I'm still working on the paintjob of the big monster for my Nurgle Proxies, but I wanted to take a break from all that purple, so I finished an old project. A stormcaster conversion. As many of you know, I don't like Age of Sigmar. It's too dark and serious. I liked a lot more the old warhammer, when the models and the world were sillier and funnier. And I hate the grimdark tone of the 40k, in particular the space marines. I'm not the first one to jump on this train, but i think the Stormcasters are one of the ugliest things ever made by GW, only because that doll-like head. And space marine proportions. Still, I got 3 of them for free, so let's see what I can do. At the moment I converted only 2, one with a simple chaos warrior head swap, the other one with various Bretonnia bits. 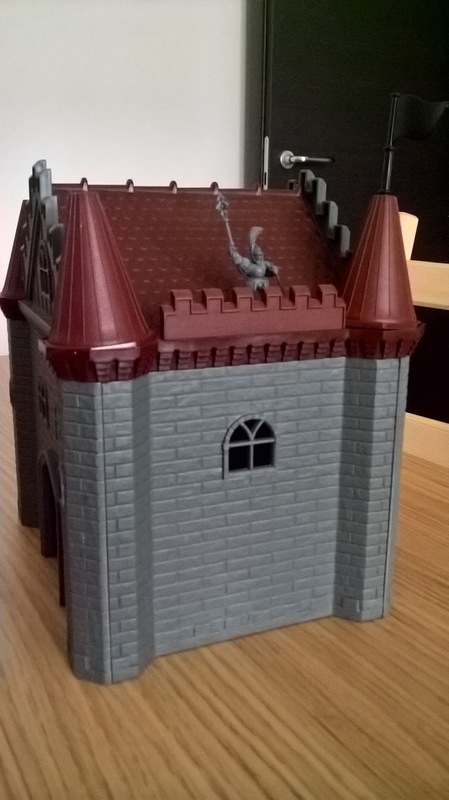 I have no idea about the last one, maybe an undead knight, or I simply paint him as a statue. I just cant pass without signing under every of these words. Very true, IMHO. And of these three former stormcasts the one with a horned helmet (first) is, in my view, the best. They are chaos. I finally finished the big guy on the background. 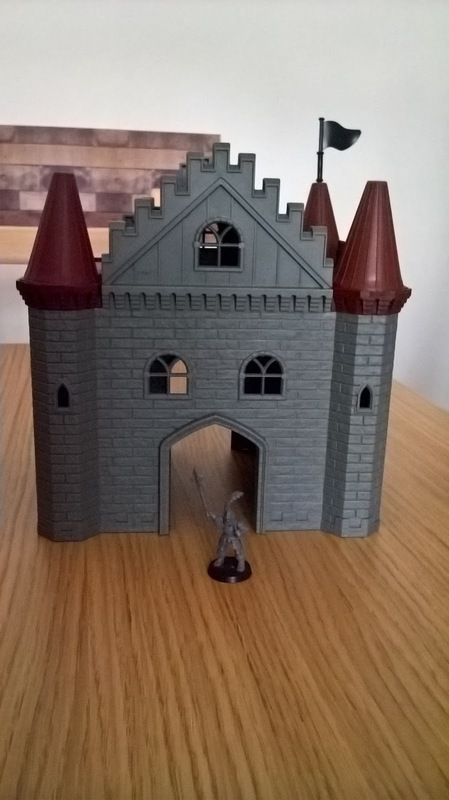 No miniatures or terrain today, but some pictures. Don't worry, still made by me. 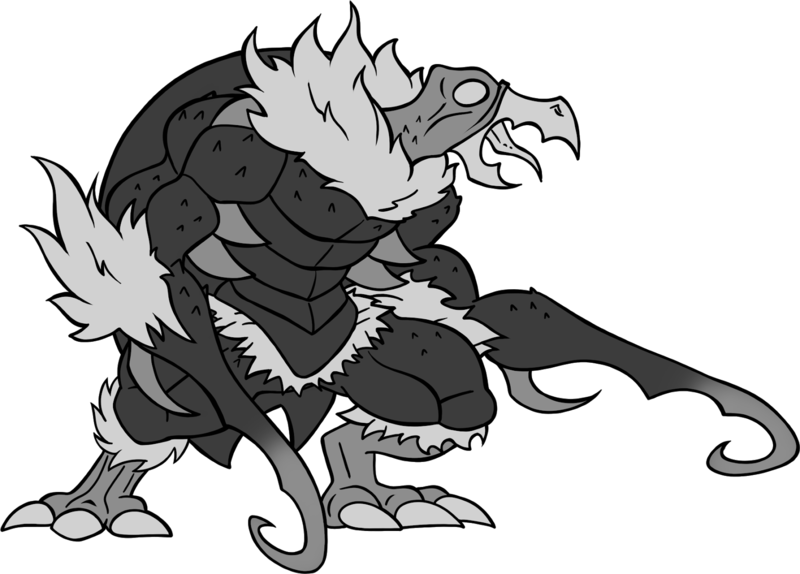 The hook horror is a classic D&D monster from the Underdark. It's an ogre-sizes bird-cockroach beast with hook for arms. It's pretty cool looking, but in the end it's nothing special, there are lot of better monsters to fight. Still, I think it's a well design monster with a lot of potential, it's a shame it only lives underground. I mostly play d&d 3.5 and Pathfinder, but here some flavour and some suggestions if you want to give some real stats to these guys. this hook horror specie lives on top of mountains and glaciers. It's bigger then the usual hook horrors and adapted to live in cold enviroments. Unlike the most common Underdark species, this variant does not feel any pain from sunlight. The chitin of and Ice Hook is strong as steel and, unlike the other species, it is exclusively carnivorous. 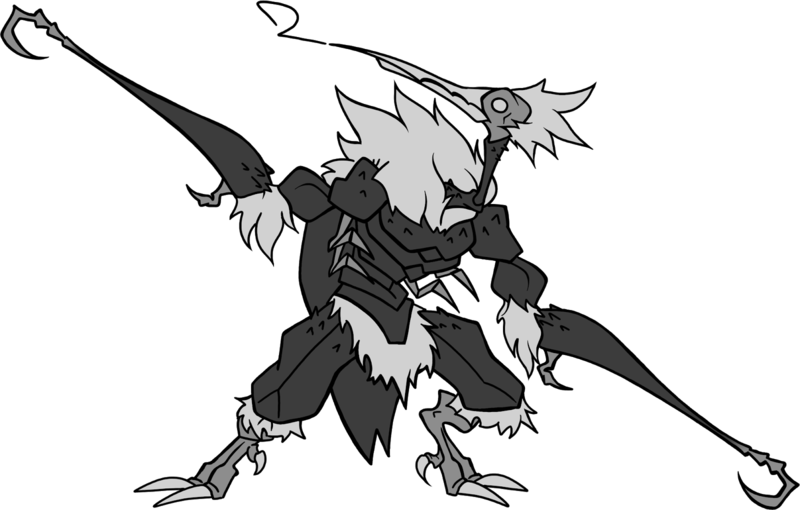 also known as needle horror, this specie is a little smaller then a man, but its vicious claws can strike enemies from distance with amazing speed. The needle horror lives in dense forests and rarely touches the ground. It's the most pacific of the known species, but it is very territorial. It is extremely adapted to the enviroment, possessing unique traits from the other species; it lacks a strong beak, but it posses a long prensile tongue, the vestigial arms on the sides actually are used to scrape wood in search for insects and fruits. The long feather-like fibers help the creature camoufage in the foliage and they actually change colors during seasons. 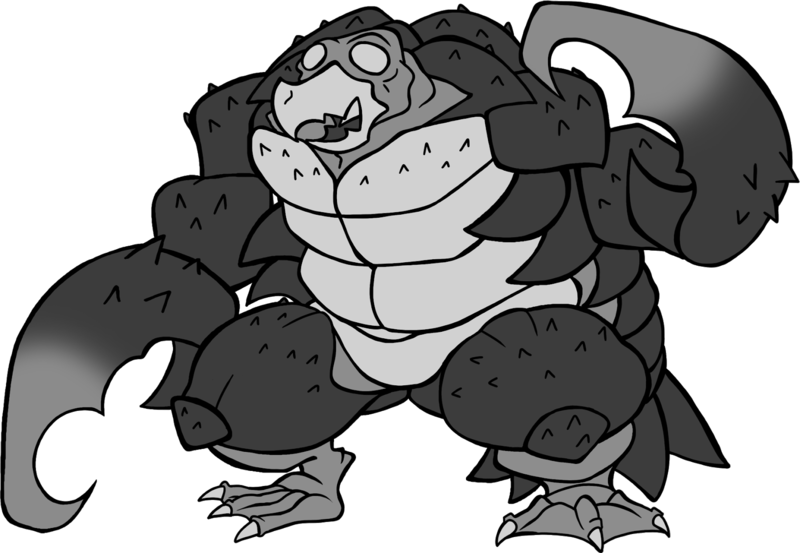 also know as fish hooks, crab horror and boat ripper, this specie lacks the climbing abilities of its cousins in exchange for powerful webbed feet and the ability to hold breath for almost two hours. It's the bigger variant of hook horror and it is built to only a purpouse: crush. Shells, bones, boats: nothing can resist its pincher or the powerful beak. Still, its diet is almost all made of mollusks. What do you think, do you want to see some more stuff like this in the future? I should color them? Let me know. Short answer YES!!! Long answer - Your fantasy is awesome in any number of dimensions, please, continue!